Whilst the global food revolution has given us plenty of inspiration to cook everything from Hong Kong fried noodles to Scandinavian langoustines, it’s also nice to revisit some classic British dishes. Although the UK’s food reputation has been criticised for being bland, it’s clear that some traditional British meals represent the ultimate in comfort food for many people. It’s probably the Sunday roast that has the ability to really capture the attention of many people in the UK. Whether it’s roast beef with Yorkshire puddings and horseradish sauce, chicken with plenty of stuffing, lamb with mint sauce, or even delicious pork with lots of roast potatoes, it’s unlikely that this simple yet effective dish will ever lose its immense popularity. However, as we are an island nation, there are plenty of seafood options that have many fans. Whether it’s the classic scampi pub meal or even the legendary fish and chips that are best-served in a newspaper at the beach, we’re definitely a nation that’s keen about consuming plenty of seafood. Whilst these dishes are popular all over the nation, it’s when you start focusing down into regional favourites that things really get interesting. Scotland has earned a global reputation for treats like haggis, neeps and tatties, but whether it’s Lincolnshire’s sausages, Cornish pasties, or even Lancashire hot pot, it seems that each corner of the country has its own idiosyncratic culinary appeal. But just because British people are very loyal towards their traditional dishes doesn’t mean that they are unwilling to try something new. A quick look at the blog at Deliveroo reveals plenty of innovation in recipes that are starting to find favour amongst the nation’s budding chefs, and we’ve also proven to be increasingly willing to learn from abroad. Although there’s plenty of debate about the origins of the classic chicken tikka masala, it’s fairly obvious that this curry dish could have only reached its phenomenal popularity by fusing the flavours of the Indian subcontinent with the taste expectations of the British public. A recent survey has also shown that the UK has fallen in love with Chinese takeaways which suggest just how far our tastes have moved in just a handful of decades. And it also seems that more British people are starting to use online delivery services as a way to enjoy their meals from their favourite restaurants. 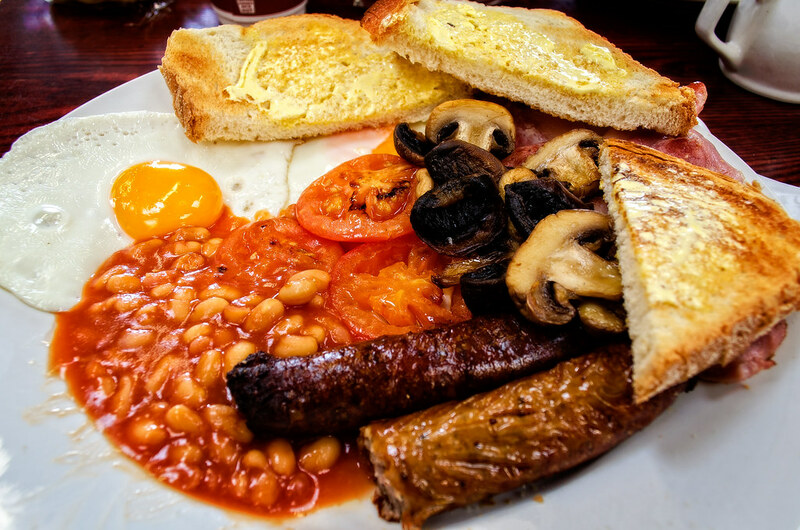 But regardless of the recipes on offer, it seems that classic British dishes like fish and chips, the full English breakfast, and the Sunday roast are definitely here to stay. This article was written in collaboration with Deliveroo.